New Delhi, Jan 24, 2018 : The government on Wednesday announced Rs 88,139 crore capital infusion in 20 public sector banks (PSBs) during the current fiscal, with IDBI Bank getting the most -- Rs 10,610 crore. 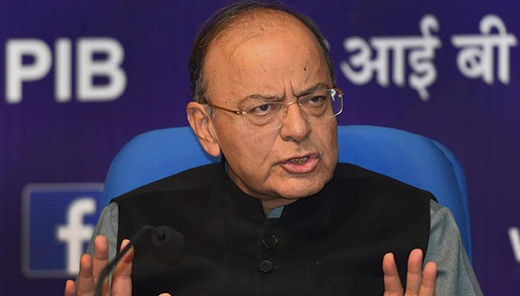 Finance minister Arun Jaitley said his ministry had undertaken a detailed exercise on the amount of capital to be infused into the PSBs. The unprecedented Rs 2.1 lakh crore bank recapitalisation plan announced in October last year was to be spread over two financial years -- 2017-18 and 2018-19. During the current fiscal, ending March 31, State Bank of India will get Rs 8,800 crore capital and Bank of India, Rs 9,232 crore. Oriental Bank of Commerce would get Rs 3,571 crore, Dena Bank Rs 3,045 crore, Bank of Maharashtra Rs 3,173 crore, United Bank of India Rs 2,634 crore, Corporation Ban Rs 2,187 crore, Syndicate Bank Rs 2,839 crore, Andhra Bank Rs 1,890 crore, Allahabad Bank Rs 1,500 crore, Punjab and Sind Bank Rs 785 crore. Jaitley said steps need to be taken to ensure governance of banks follows highest standards and there is a need for institutional mechanism to ensure past is not repeated. “We inherited a very major problem and therefore, we have been involved in finding a solution to that problem”, he said, adding that “our role really is not only to find a solution but also to create an institutional mechanism to make sure that what happened in the past is not repeated”. The PSBs are faced with mounting non-performing assets (NPAs) or bad loans, putting the financial sector under stress, and need to be recapitalised. “Now the entire object of this exercise is that the government has the prime responsibility of keeping the public sector banks in good health,” Jaitley said. He said loans above Rs 250 crore will undergo special monitoring.